When a member of the family moves into a nursing facility, we expect the nursing staff to provide them with respect, dignity and exceptional healthcare in a comfortable and safe environment. Unfortunately, overcrowding, understaffing and substandard training have all contributed to many cases of nursing home neglect and abuse. In fact, the Henderson nursing home abuse & neglect attorneys at Nursing Home Law Center LLC have witnessed many incidences where the nursing home staff betrayed the trust placed in them by families of loved ones in their facility, resulting in their injury or death. Many families choose to place a loved one in a nursing facility to relieve the burden of taking care of them in an undesirable setting at home. The level of care they receive at a nursing home is often taken for granted by family members hoping the loved one’s health and hygiene needs are met. Unfortunately, many nursing home residents who have become victims of abuse and neglect no longer have the capacity to speak out or the ability to defend their rights to protection. The number of elderly individuals residing in nursing facilities throughout the United States has risen dramatically in recent years, including throughout southeast Nevada. Of the more than 2 million residents residing in Clark County, nearly 250,000 are senior citizens. Retirees have become one of the fastest-growing demographics in the Las Vegas/Henderson area, which has placed a significant burden on nursing facilities that are already overcrowded and understaffed. The Clark County nursing home abuse attorneys at Nursing Home Law Center LLC believe that society is measured by the level of care it provides the most vulnerable disabled, young and old citizens. Even though many of the elderly are a part of the subsidized healthcare system, receiving Medicare and Medicaid, the United States has yet to establish a system to ensure that every resident is treated with the dignity and respect they deserve, without fail. To assist families facing the undesirable choice of placing a loved one in a nursing home, our elder abuse law firm updates valuable information harvested from national databases including Medicare.gov. We continuously review, assess and evaluate this information regarding health concerns, opened investigations, safety issues and filed complaints against nursing facilities all throughout the Las Vegas/Henderson area. Families understand the value of this information that can be used to ensure they have made the best possible decision of where to place their loved one who requires the highest level of skilled and nursing care. The list below details all of the facilities throughout the Henderson area that currently maintain average to below average ratings compared other facilities in the United States. In addition, our lawyers have published their primary concerns by posting specific cases that involve negligence, mistreatment or abuse that did or could have caused a resident harm, serious injury or death. In a summary statement of deficiencies dated 09/17/2015, a notation was made during an annual licensure and certification survey by a state investigator concerning the facility’s failure to “ensure was free of a medication error rate of five percent or greater.” This deficient practice by the nursing staff at Premier Health and Rehabilitation Center of Las Vegas directly affected one resident at the facility. Federal and state nursing home regulatory agencies mandate that all nursing facilities throughout the United States take necessary precautions and follow protocols to ensure medication errors never rise above five percent. 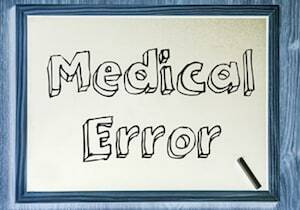 However, the deficient practice was noted after a 09/16/2015 “Medication Administration Pass was performed with 32 opportunities observed and revealed eight errors.” This failure by the nursing staff at the facility produced a “medication error rate of 25% (percent),” which is 500 times greater than the drug error rate allowed by regulatory agencies. As a part of the review, the state investigator noted that that the 09/16/2015 morning Medication Administration Pass Observation revealed that the resident “did not receive MVI with minerals as ordered” by the resident’s physician. The resident was observed at 2:00 PM on 05/05/2015 “being wheeled in the hallway of the 200 Hall being taken to the bathroom. The resident did not have a helmet on. The Licensed Practical Nurse (LPN) on the unit confirm the resident did not have a helmet on and immediately retrieved the resident’s helmet from the room and placed it on the resident [… verbalizing that] the resident should always have a helmet on when out of bed […and added] the staff member who was with the resident did not usually work this unit and was not aware the helmet was required. Our Henderson nursing home neglect attorneys recognize that failing to provide a level of care necessary to ensure a resident’s safety could place the health and well-being of the resident in immediate jeopardy. The deficient practices by the nursing staff at Delmar Gardens of Green Valley might be considered negligence or mistreatment and fails to follow established procedures and protocols enforced by nursing home regulatory agencies. In a summary statement of deficiencies dated 04/01/2015, a complaint investigation against the facility was opened for its failure “to administer medication as ordered for [a resident at the facility” and a failure “to perform neurological checks consistently in accordance with facility policy.” These deficient practices by the nursing staff at Lake Mead Health and Rehabilitation Center affected two residents at the facility. The investigation was initiated after it was revealed that the resident [sustained an unwitnessed fall that resulted in no apparent injury [on 03/30/2015.” The facility’s Interdisciplinary Post for Review document revealed that a “CNA (Certified Nurse Assistant) heard a tab alarm sounding. [The] nurse and CNA entered the room to find the resident seated on the floor. Head to toe assessment was completed. Resident with a full range of motion, all extremities. Scalp sutures intact from craniotomies” [surgical removal of a portion of skull bone to expose the brain]. A review of the resident’s Discharge Summary from the Acute Care Facility noted that the resident “had expressed multiple episodes of falls and had been getting progressively weak. A review of the resident’s MAR (Medication Administration Record) under the Individual Resident’s 07/22/2015 Control Substance Record noted that the resident’s medication “was administered on 01/27/2015 and 01/28/2015 at 12:00 AM. However, the medication “was not signed out” at those times. Our Henderson nursing home neglect attorneys recognize that failing to follow physician’s orders when administering medication and providing care to a resident that requires neurological checks due to a fall could place their health and well-being in immediate jeopardy. The deficient practices of the nursing staff at Lake Mead Health and Rehabilitation Center may be considered negligence or mistreatment because the failures are in violation of both federal and state nursing home regulations. The state investigator also reviewed the resident’s 06/12/2015 Post-Acute Progress Note documenting that “the resident was on isolation secondary to MRSA (Methicillin-Resistant Staphylococcus Aureus) nares [the nostrils]. The incidences of abuse and neglect in nursing facilities are far more common than many families realize. Often times, the resident injured by mistreatment is too fragile, weak or mentally incompetent to even know what happened or speak out on their behalf. Because of that, families must identify the signs and symptoms of abuse and neglect. That often requires asking questions of the nursing staff about the level of care the family member has received in the past and is receiving. All noticeable indicators of abuse and neglect are required by law to be a part of the resident’s medical records and Nurse’s Notes. All cases involving physical, emotional, mental or sexual abuse or allegations of abuse must be reported to the state agency within a short timeframe. Any failure to report and investigate any allegation or incident involving abuse or mistreatment could hold the facility legally liable to the resident and family members. Because of that, families will often hire a nursing home abuse attorney who specializes in cases involving disabled, injured or elder residents. The Henderson nursing home abuse attorneys at Nursing Home Law Center LLC are guided by sensitivity to protect victimized nursing home residents and serve as their advocate for justice. Our Nevada elder abuse lawyers can be trusted to offer a sympathetic ear and dedicated focused attention in building a case for financial recompense. Our staff provides numerous legal options in an effort to lighten the burden that families face when holding those responsible both financially and legally accountable for causing their loved one harm. Our Nevada team of seasoned attorneys provides legal representation for victims of negligence, abuse and mistreatment occurring in nursing homes throughout the Las Vegas area. We understand healthcare protocols, procedures and policies and can easily detect when anything is amiss. We guarantee to thoroughly investigate your complaint of mistreatment and build a solid case to ensure corrective action is enforced and your loved one is compensated for the harm done by others. We encourage you to make contact with our Clark County elder abuse law office today by calling (800) 926-7565 to schedule your no obligation, free full case review. All the information you share with our law office will remain confidential to protect your loved one’s privacy. We accept all nursing home neglect cases, personal injury claims and wrongful death lawsuits through contingency fee arrangements. This means you and your family are provided immediate legal representation, advice and counsel without any payment of an upfront fee, which is only paid after we negotiate a settlement out of court or win your case in a jury lawsuit trial. For additional information on Nevada laws and information on nursing homes look here.